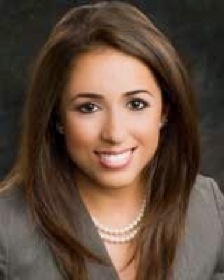 Former Houston TV reporter Sonia Azad, who left that market’s KTRK-TV last March, has been hired by Dallas-based TEGNA8 to be the station’s new medical reporter. Azad, who starts on Monday, Oct. 12th, will be trying to fill the very big void left by award-laden medical reporter Janet St. James, who left TEGNA8 in March to take an executive position with HCA North Texas. Before starting that job, St. James announced on her Facebook page that she had been diagnosed with breast cancer. She had been TEGNA8’s full-time medical reporter since 2000 after joining the station in 1996. TEGNA8 news director Carolyn Mungo did not return an email inquiry Tuesday about Azad’s possible new position at the station. She instead confirmed Azad’s hiring Wednesday to Houston media blogger Mike McGuff, who also had been on the scent. His story is here. “I see it as a big responsibility and it is a big honor to follow her (St. James) in this role,” Azad told McGuff. She has been out of television and worked as a full-time certified yoga instructor for the past seven months. Mungo worked at both KHOU-TV and KRIV-TV in Houston before becoming TEGNA8’s news director in February 2012. TEGNA8 president and general manager Mike Devlin, who hired Mungo, had been her boss at KHOU. As previously reported, TEGNA hired another KTRK-TV reporter, Demond Fernandez, in May of last year.